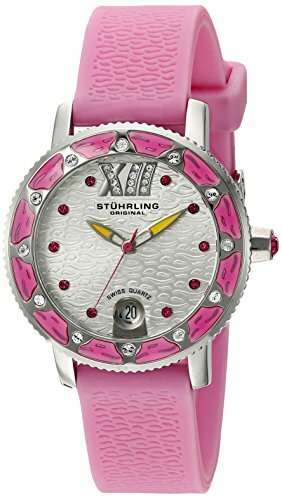 Stuhrling Original Women's 225R.1116A2 Nautical Regatta Marina Sport Swiss Quartz Swarovski Date Pink Rubber Strap Watch by Stuhrling Original at Kerinci. MPN: 225R.1116A2. Hurry! Limited time offer. Offer valid only while supplies last.